Happy New Year, my beloved readers! I am so grateful for another year to share with you – and it’s going to be a huge year for me! I can’t wait to share more as it unfolds. 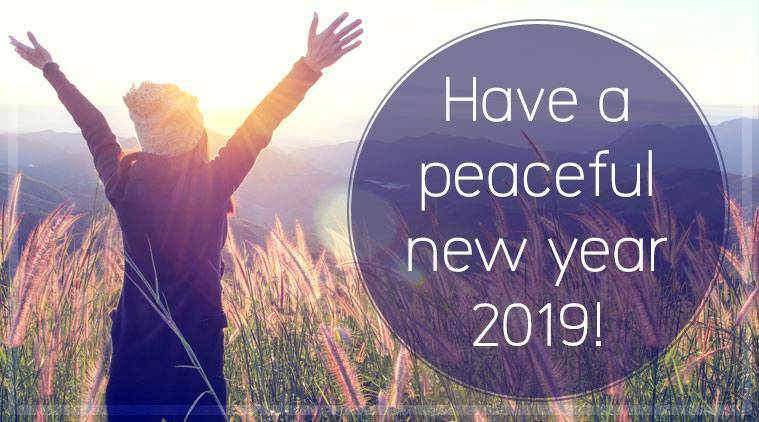 Have a peaceful new year 2019! Source. I’ve written before about how to let values guide your resolutions with actual tangible goals and daily actions and keeping up with your resolutions in the long-term. Now, let’s focus outward: How are you interacting with others, your community, and the world at large? How can you become a better ally – or, better yet, accomplice – in 2019? This is a uniquely difficult time for the country, and it’s only getting more complex, so this is a crucial task to undertake. This list a summary of one I wrote for an event about allyship that I co-led with other queer and disabled leaders in public spheres. It was written specifically with disability and LGBTQIA+ issues in mind, but I believe it’s a strong foundation for relating to many people who are different from us. It has fewer links and resources than I would usually attach because I want it to be as accessible and simple as possible. Image description: “Different ways to support.” Three groups of people, one person standing beside another person, one standing in front of a person, one standing behind a person. It says: Beside. You may need to stand beside someone to support them. Listen to them and walk with them through an experience. In front. You may need to stand in front of someone to help them avoid harm and hurt. Behind. You may need to stand behind someone to support them, recognizing that they are the experts and know what is best for them. Source: a larger diagram about being an ally to transgender people from The 519: Space for Change. Listen with open curiosity and without defensiveness. Be silent when appropriate. Examine your biases. What do you consider “normal?” Why? Does there need to be normalcy? Your biases affect how you behave with others. They are whole and loved. Learn as much as you can on your own and then ask the questions you have. It’s important that we do our own basic research rather than asking others to do it for us. However, do ask what they need and hope for from you, and have that affect your hospitality. Listen to the language that they use and try to follow it. Also, learn what language is considered offensive and try to avoid it. For example, some people prefer person-first language (“person with disability”) and others prefer identity-first language (“disabled person”). Be attentive to how others describe themselves and follow suit. Also, it’s surprising how many insults come from outdated or inappropriate descriptors for marginalized folks. However, some folks are reclaiming words that once were used as weapons. Remember that as an ally, insider language isn’t yours to share. Read works written by minority authors. Who’s not represented on your bookshelf? In the articles you read online? In your podcast rotation? If you’re in a leadership position, remember the adage “nothing about us without us.” Who’s not represented at the table (or in your life in general)? Make sure your leadership and sources of information are diverse. Realize that people can be marginalized in some ways and privileged in others. Intersectionality helps us understand the multiple ways people’s life experiences are affected by their identities. Know more than one story because no community is a monolith. If you’re in a leadership position, be humble about what’s in your wheelhouse. Be willing to refer out when necessary rather than trying to be someone you’re not or providing something that others could offer better. However, do not run away from trying to learn simply because others know more. Donate your time, money, prayers, personal privilege, and organizational partnership to reputable organizations. Remember that others’ stories are their own. It’s up to them to decide if they want to share. Hearing stories is a privilege. Keep them in confidence. Their life decisions, as well as their choices about how much to integrate this piece of their identity into their sense of self, are also their own. Give yourself grace. Remember that you’re doing your best to become an ally because you love people and want to be in community together. It’s better to show up, try, and make mistakes (and apologize for them!) than to not show up at all. What are your ideas? What’s missing here? I’m always trying to grow – and hopefully, you are too.